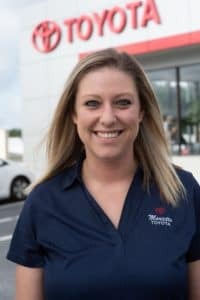 Ashley has been part of the Marietta Family since 2014. 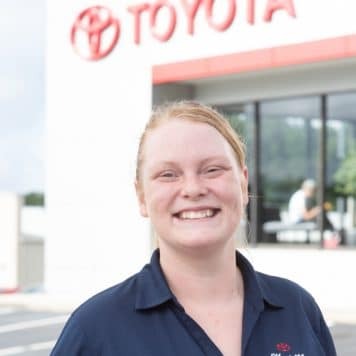 We’re so glad to have Ashley as part of the Marietta Toyota Family! 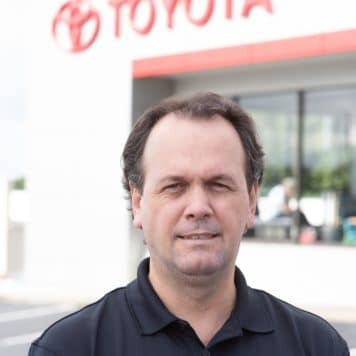 Brian Kessler joined the Marietta Toyota Family in 2014. 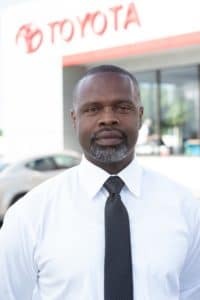 Fred joined the Marietta Toyota Family in June of 2017. 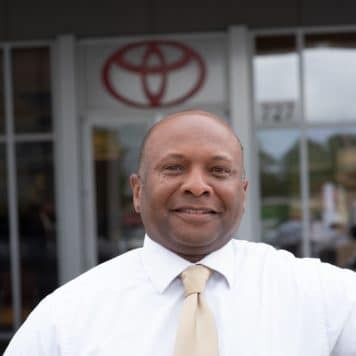 We’re proud to have Fred as part of the Marietta Toyota Family! 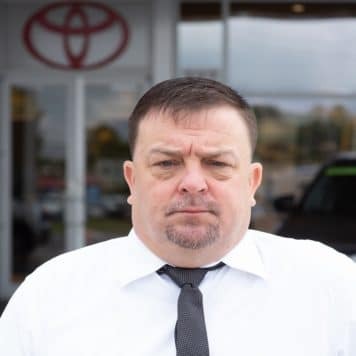 With Marietta Toyota since 2001, Greg enjoys driving the Toyota Tundra for its comfortable drive. 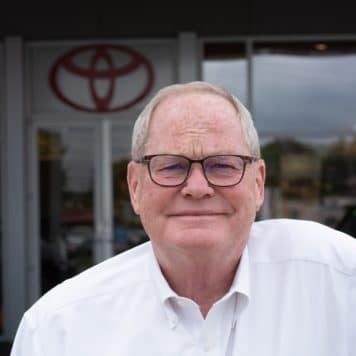 With Marietta Toyota since 2005, Mr. Keith Mitchell has a wealth of knowledge about Toyota & Scion vehicles. 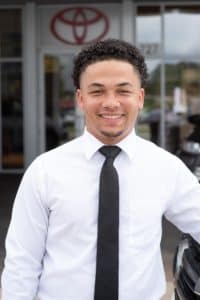 He always greets customers with a smile and has time to speak with them regarding any questions or concerns about their vehicle. 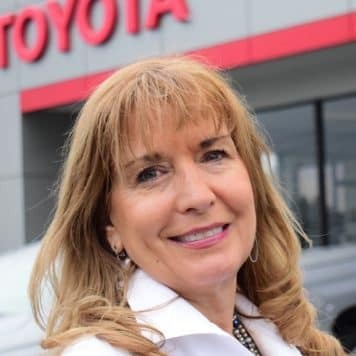 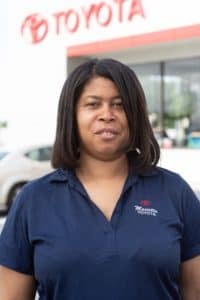 Francine joined the Marietta Toyota Family in 2018. 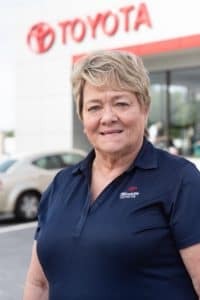 We’re so glad to have Francine as part of our Service Team. 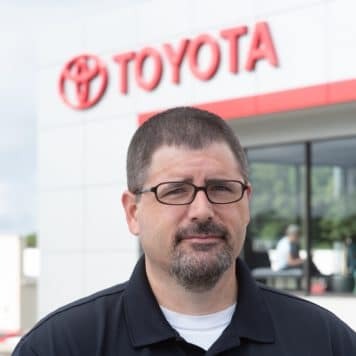 Jon Thomas joined the Marietta Toyota Family in 2015. 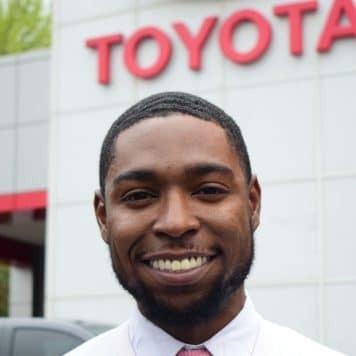 Malachi Carter joined the Marietta Toyota Sales Team in 2016. 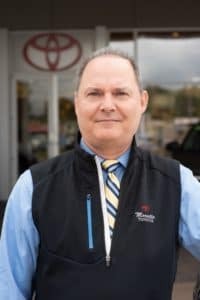 He is proud to be part of the Marietta Toyota Family. 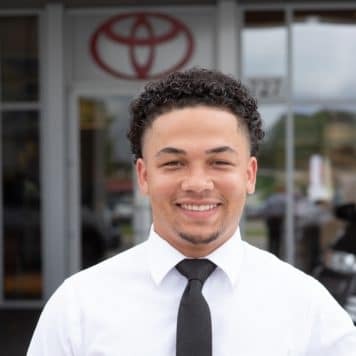 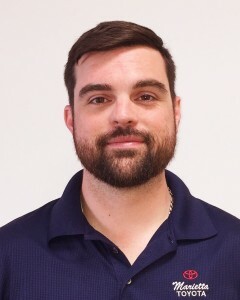 Preston joined the Marietta Toyota Sales Team in 2018. 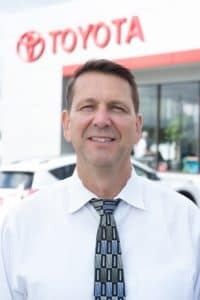 He is proud to be part of the Marietta Toyota Family. 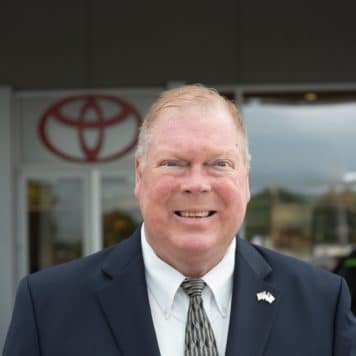 Tom Donalson joined the Marietta Toyota Sales Team in May of 2013. 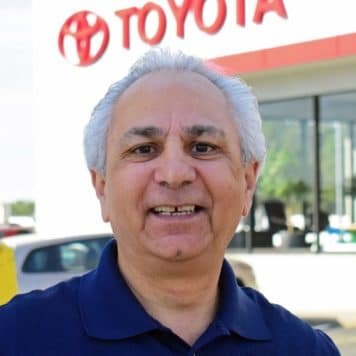 He is proud to have been part of the Marietta Toyota Family for over 5 years. 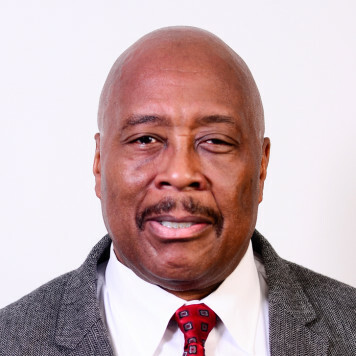 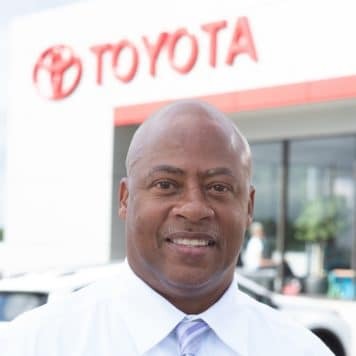 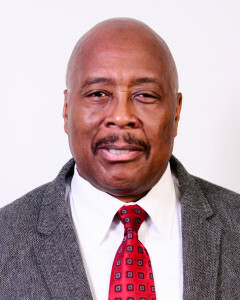 Ric Frazier joined the Marietta Toyota Sales Team in July 2014. 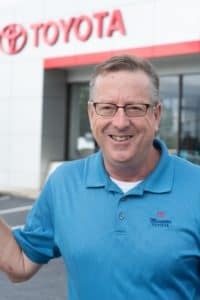 He is proud to have been part of the Marietta Toyota Family for over 4 years. 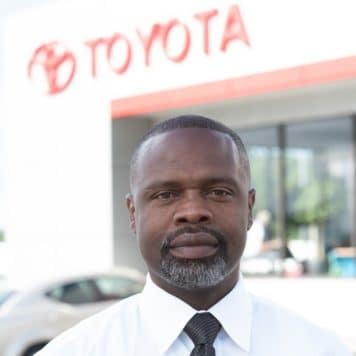 Robert Glover Junior (also known as “G”) joined the Marietta Toyota Sales Team in 2012. 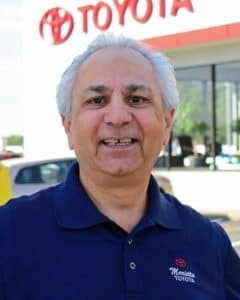 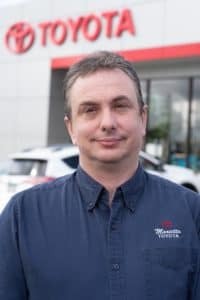 He is proud to have been part of the Marietta Toyota Family for over 4 years and is a Toyota Product Knowledge Expert. 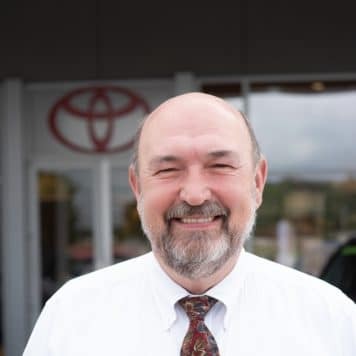 Jim Greenhaw joined the Marietta Toyota Family back in 1993. 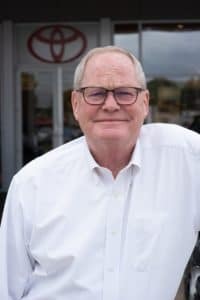 He is proud to have been part of the Marietta Toyota Family for over 24 years. 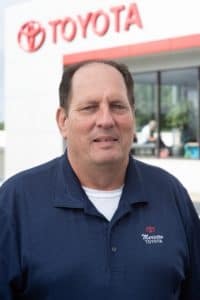 Jim grew up in Marietta & East Cobb County and understands the importance of providing the best service possible to our customers because they are our family, our friends, and our neighbors in the community we live in. 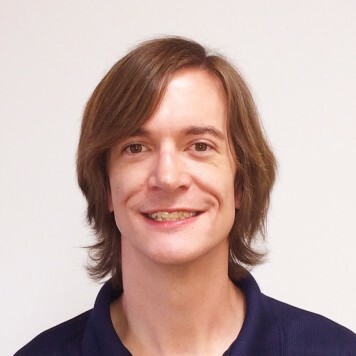 If you have any questions or concerns, please do not hesitate to reach out to him directly. 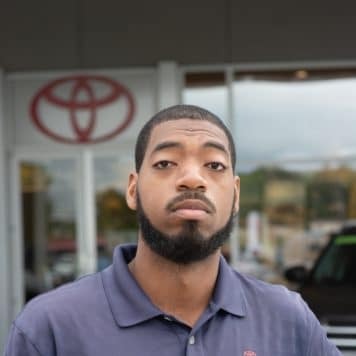 Jonathan Jones joined the Marietta Toyota Sales Team in February 2014. 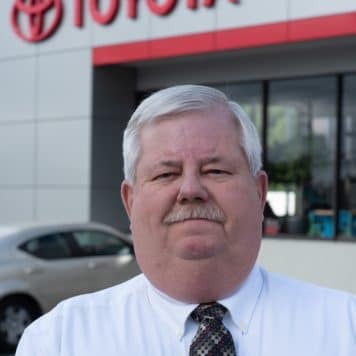 He is proud to have been part of the Marietta Toyota Family for over 4 years. 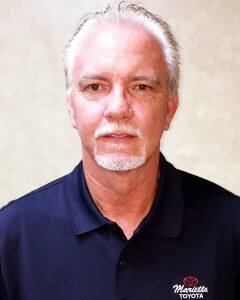 Alan Kell joined the Marietta Toyota Sales Team in January of 2013. 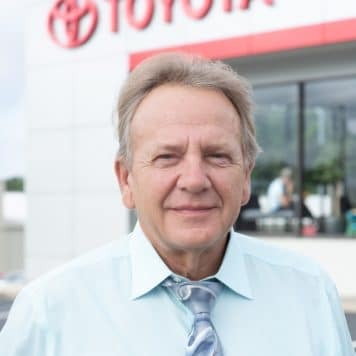 He is proud to have been part of the Marietta Toyota Family for over 5 years. 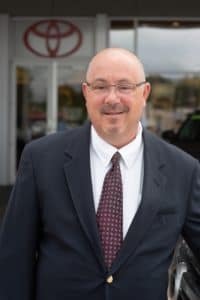 Alan has over 30 years of experience working in Automotive Dealerships. 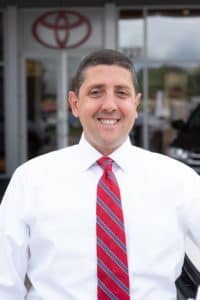 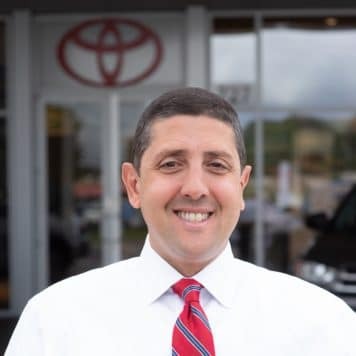 Roberto Manzur joined the Marietta Toyota Sales Team in 2005. 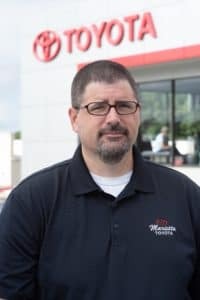 He is proud to have been part of the Marietta Toyota Family for over 11 years. 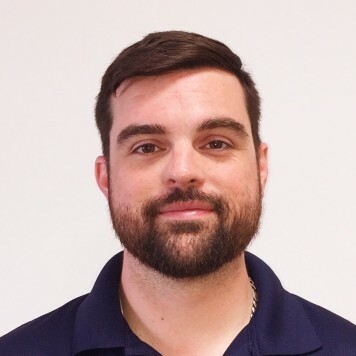 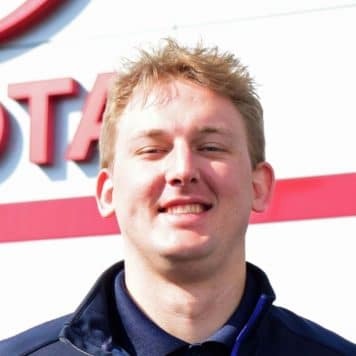 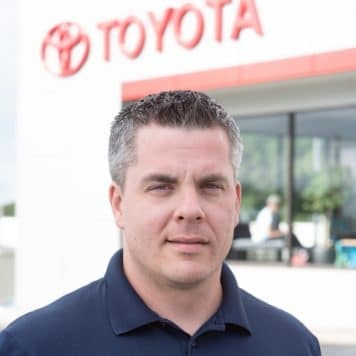 Jeremy Marx joined the Marietta Toyota Sales Team in the spring of 2018. 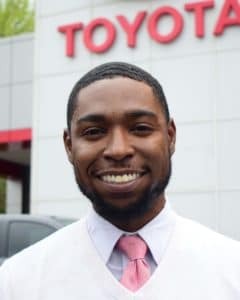 Welcome to the Marietta Toyota Family Jeremy! 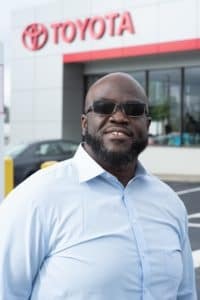 Morris joined the Marietta Toyota Family in 2018. 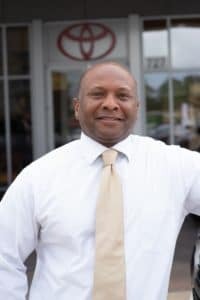 Welcome to the family Morris! 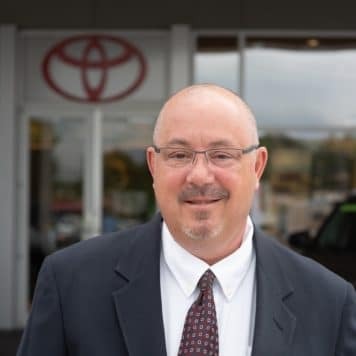 Glenn Mollman joined the Marietta Toyota Sales Team in 2001. 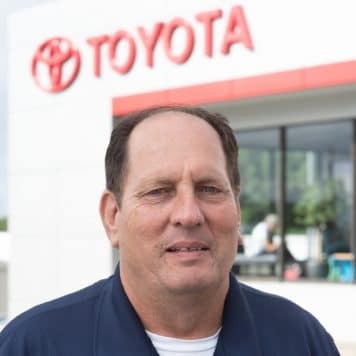 He is proud to have been part of the Marietta Toyota Family for over 16 years. 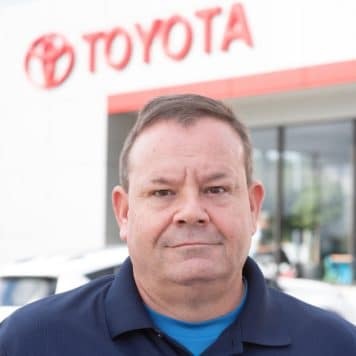 Day-to-day operations in the New Toyota Sales Department are smooth due to all the hard work Glenn does behind the scenes to keep the lot in shape, our inventory balanced, and to bring in vehicles for customer who special order them. 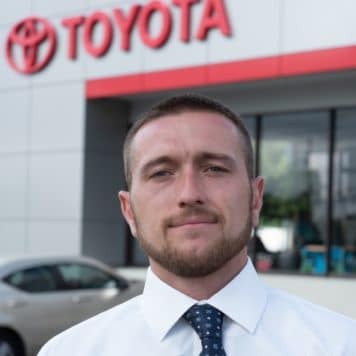 Aaron joined the Marietta Toyota Family in November of 2014. 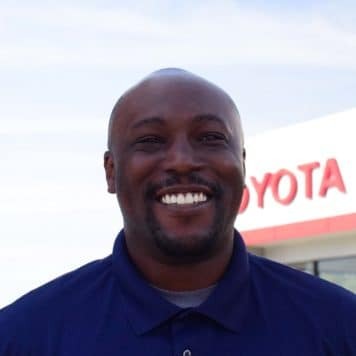 We’re proud to have Aaron as part of the Marietta Toyota Family! 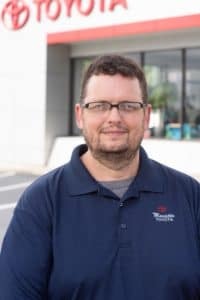 Eric joined the Marietta Toyota Family in 2018. 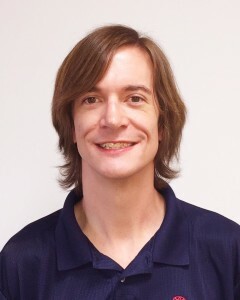 Welcome to the family Eric! 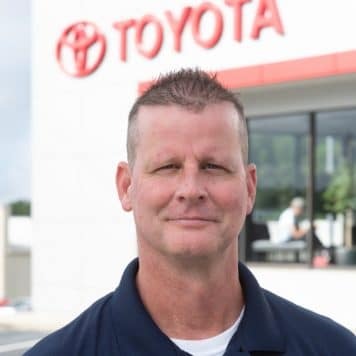 David Swaggerty joined the Marietta Toyota Team in 1994. 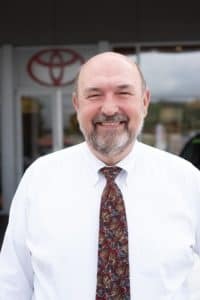 He is pleased to have been part of the Marietta Toyota Family for over 22 years. 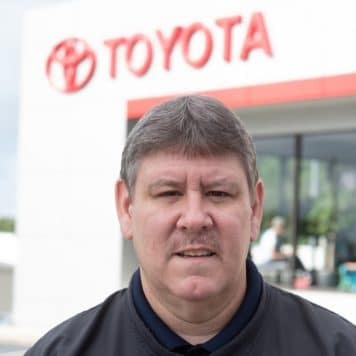 His brother, Scott Swaggerty, retired after 25 years with the Marietta Toyota Family in 2014. 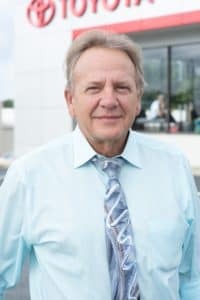 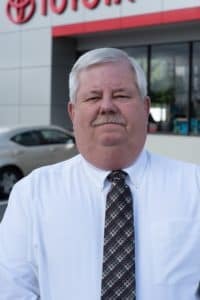 David Swaggerty has been part of the Marietta & Cobb County community for many years, and understands that our customers are our family, our friends, and our neighbors. 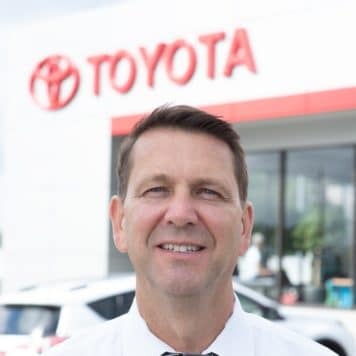 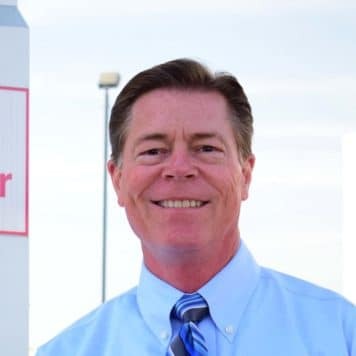 Please do not hesitate to contact David Swaggerty if you have any questions or concerns about your visit to our dealership. 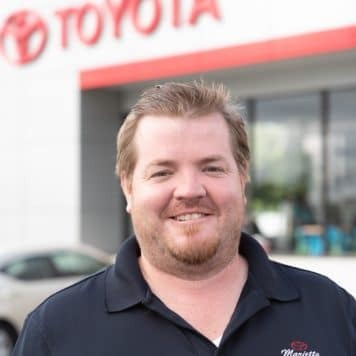 Chad joined the Marietta Toyota family in the spring of 2017. 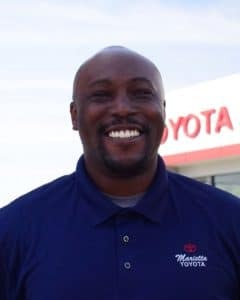 Jimmie Wilson joined the Marietta Toyota Sales Team in 2002. 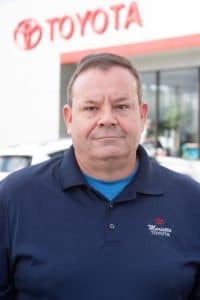 He is proud to have been part of the Marietta Toyota Family for over 13 years. 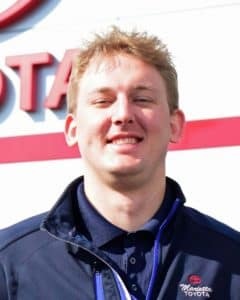 Andrew rejoined the Marietta Toyota Family in 2018. 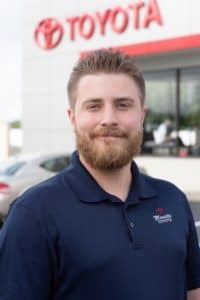 We’re glad to have you back with us Andrew! 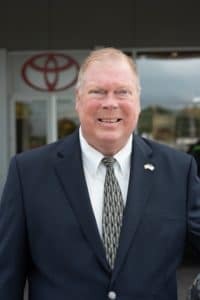 Don Dugan joined the Marietta Toyota team in 2007. 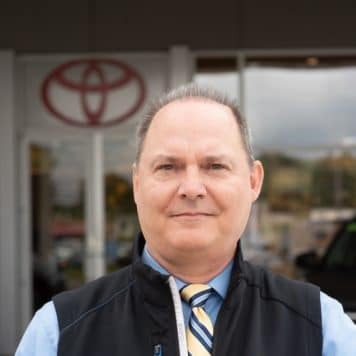 Ken Lane joined the Marietta Toyota team in 2010. 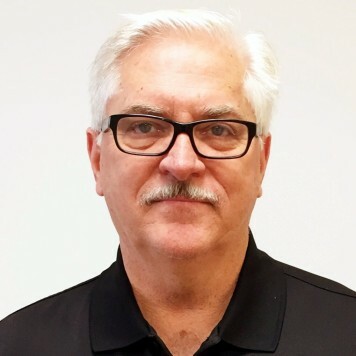 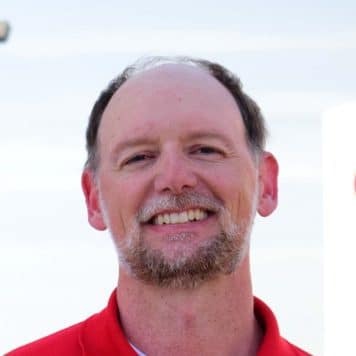 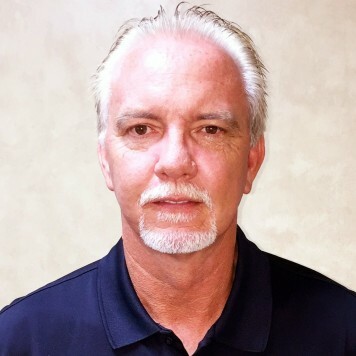 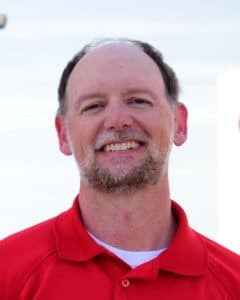 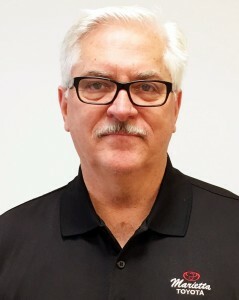 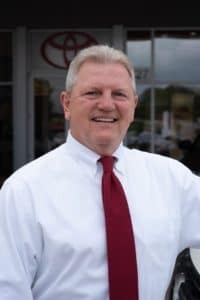 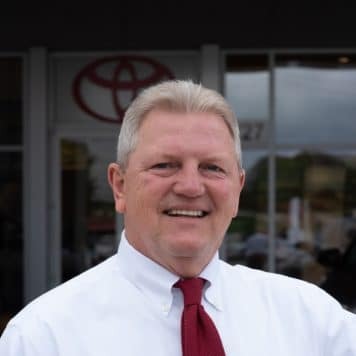 Rickey Gilbert has been with Marietta Toyota since 1990. 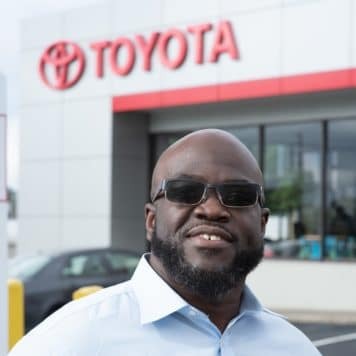 Marietta Toyota takes the stress out of your car buying experience by offering “No Hassle” Pricing – One Price, clearly marked on EVERY Pre Owned Car, to ensure an easy and stress free purchase experience. 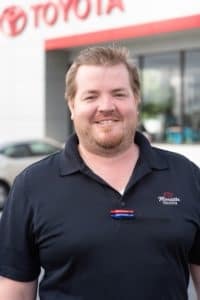 Every Pre Owned Vehicle has been inspected by our Service Dept and comes with a Complimentary AutoCheck History Report. 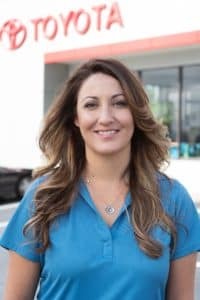 We are professional and offer you the experience you deserve. 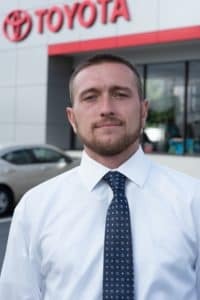 Matthew Grenier joined the Marietta Toyota Used Car Team in 2017. 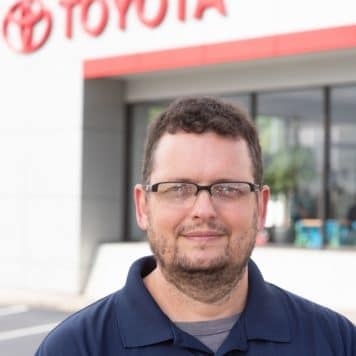 Welcome to the Marietta Toyota Family Matthew! 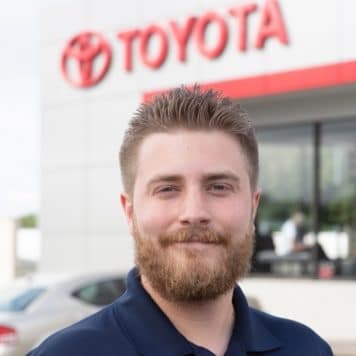 Josh joined the Marietta Toyota Family in 2018. 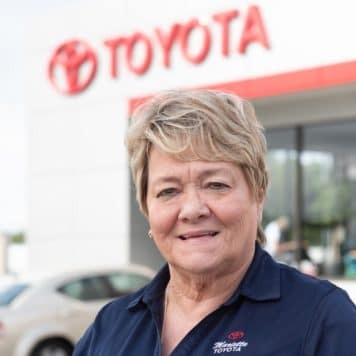 We’re glad to have you as a part of the Marietta Toyota Family! 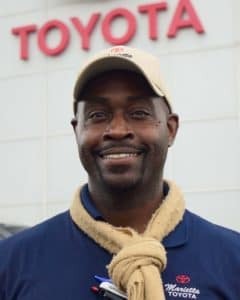 Rod joined the Marietta Toyota family in fall 2017. 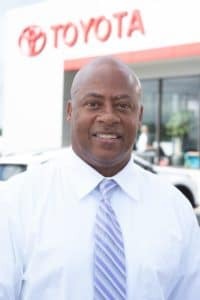 Welcome to the family Rod! 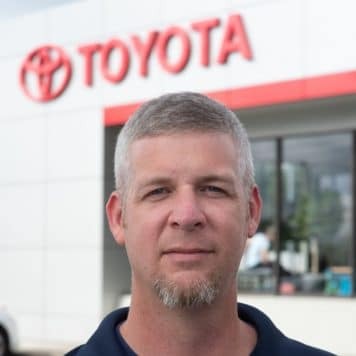 Shawn re-joined the Marietta Toyota Family in 2018. 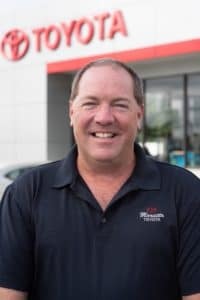 We’re glad to have you back in the family Shawn! 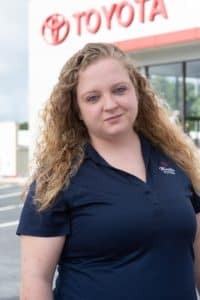 This Atlanta native has been with Marietta Toyota since 2010. 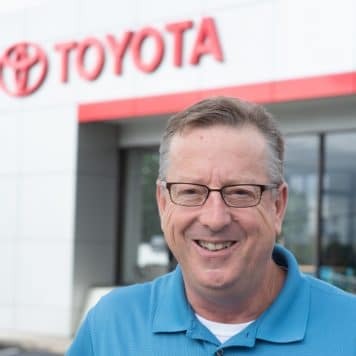 His favorite Toyota is the strong running Toyota Tacoma. 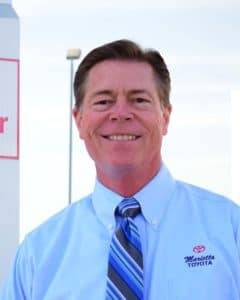 With Marietta Toyota since 2006, his favorite Toyota is either a Sporty Toyota MR2 or the all conquering Land Cruiser. 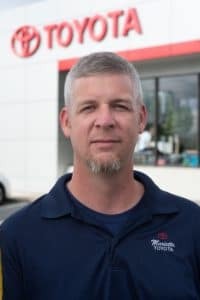 Originally from Marietta Georgia, Matt has kept Marietta Toyota Parts and Accessories running smoothly since 1987. 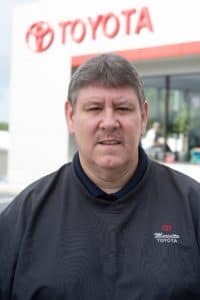 With Marietta Toyota since 2007, his favorite Toyota is the fuel efficient Toyota Corolla. 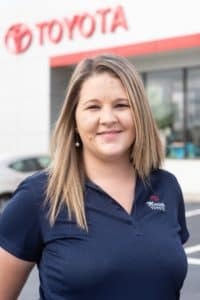 Shannon has been with Marietta Toyota since 2011. 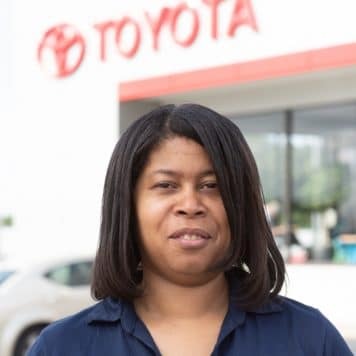 This Atlanta native’s favorite Toyota is the smooth riding Toyota Avalon. 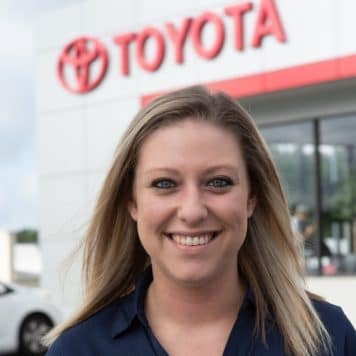 Shannon enjoys working the grassroots events such as the Taste of Marietta, and Spring Jonquil Festival in Smyrna, GA, to help promote our Toyota Rent A Car Program. 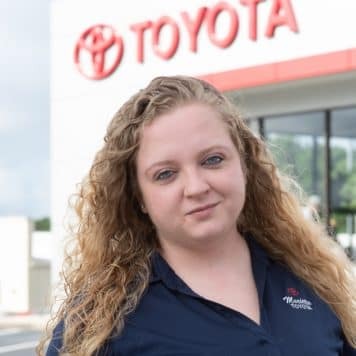 Shannon is a TRAC expert and a valued team member at Marietta Toyota. 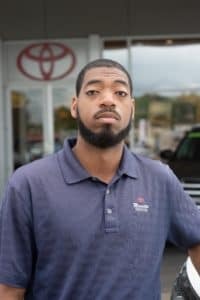 Manager of Marietta Toyota Collision and Auto Body Repair Center located in Marietta, just north of Atlanta. 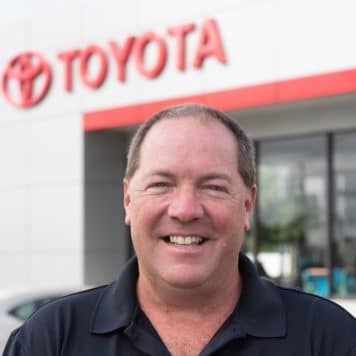 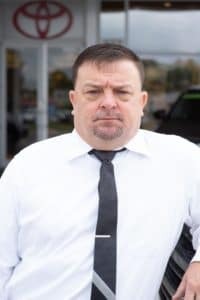 With years of Auto Body repair experience and a smile on his face, Chuck is always happy to discuss any concerns about repairing your Car – even if it is not a Toyota or Lexus. 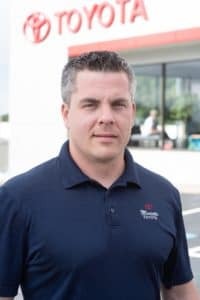 Our Collision Repair Center can repair any make or model – Toyota, Lexus, Honda, Nissan, or Volvo. 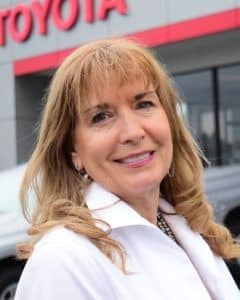 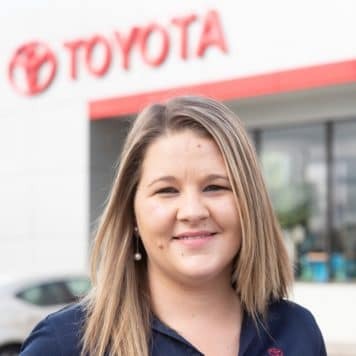 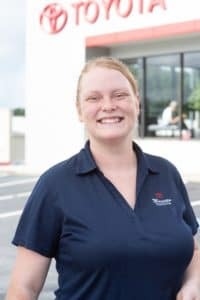 Originally from Marietta, Candice has been keeping the Marietta Toyota Collision Center and Auto Body Repair Center running smoothly since 2004. 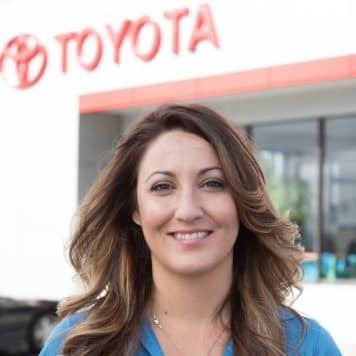 Her favorite Toyota is the LandCruiser – because it is ready for anything. 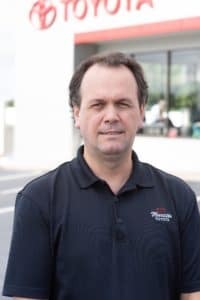 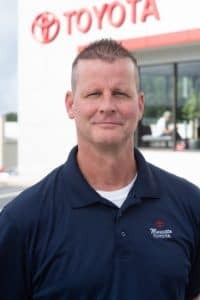 Originally from Marietta, just outside of Atlanta, Vince has been helping people with their collision repairs since 2010. 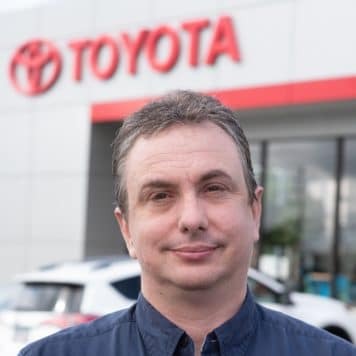 Michael joined the Marietta Toyota Family in early 2017. 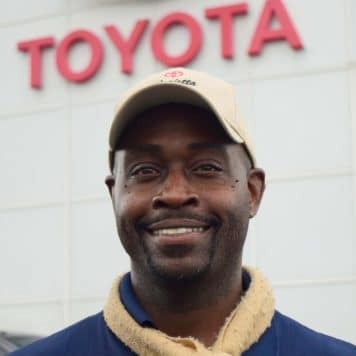 Welcome to the Marietta Toyota Family!